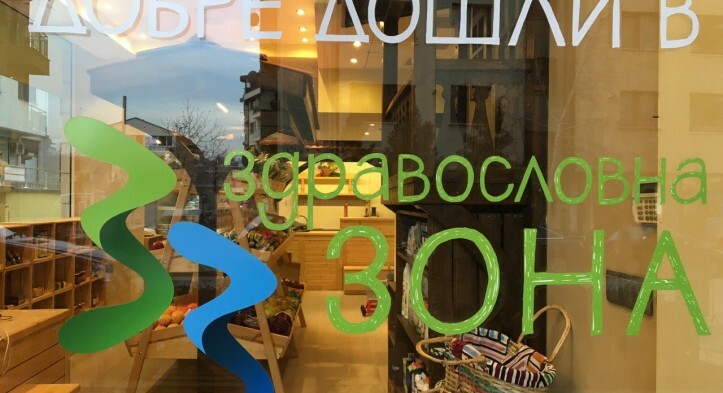 On 13th of January we opened our second representative shop in Sofia. The residents of Manastirski livadi district (10, Lavski rid str.) can now buy clean organic products in the local shop. We offer the favourite BIOfruit and BIOvegetables with clean BIOgraphy , as well as many other healthy products for everyone. You will find the well known ZONES, a play corner for the kids, fresh squized juices, oraganic milk, nuts, honey, eggs, tea, super foods, desserts and many more. If you want to prepare something fast and yammy for lunch or dinner, try our ready-to-eat salads from the Gimel Organic Royal line. We can say a lot more, however it's better to come and see for yourself!